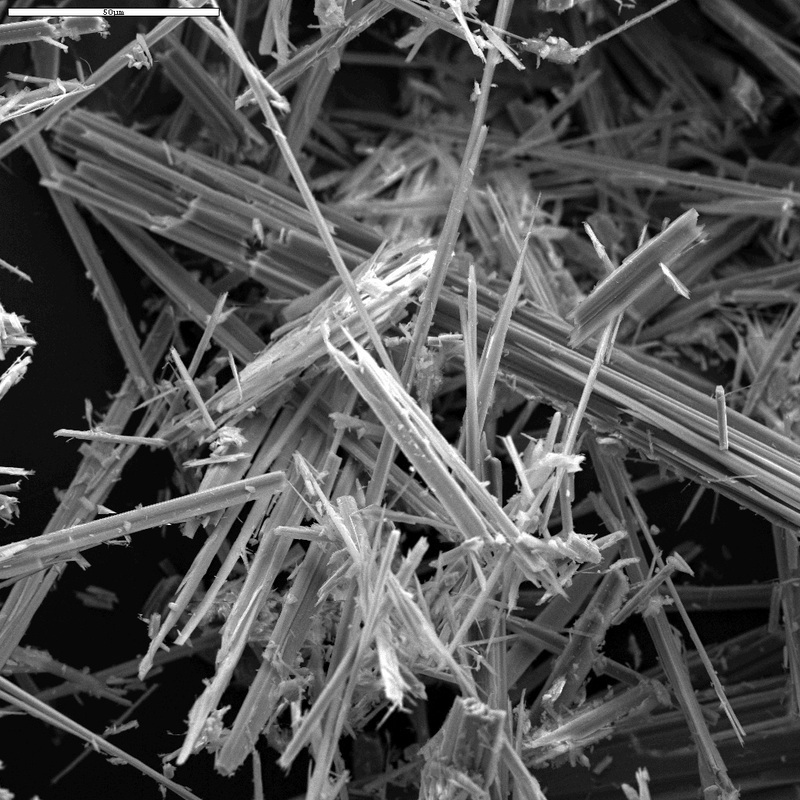 The most common methods of identifying asbestos fibers are by using polarized light microscopy (PLM) or transmission electron microscopy (TEM). PLM is less expensive, but TEM is more precise and can be used at lower concentrations of asbestos. Analysis by Polarized Light Microscopy (PLM) with asbestos content determined by visual estimation according to Method for the Determination of Asbestos in Bulk Building Materials, EPA/600/R-93/116. In 1993, EPA developed an improved test method entitled "Method for the Determination of Asbestos in Bulk Building Materials'' (EPA/600/R-93/116). The test method provides clarifications and improvements to the 1982 EPA "Interim Method for the Determination of Asbestos in Bulk Insulation Samples'' (as found in 40 CFR part 763 Appendix A to Subpart F). Specifically, use of the improved method can provide more precise analytical results especially at low asbestos concentrations, enhanced analysis of floor tiles which may contain thin asbestos fibers below the limits of resolution of the polarized light microscope (PLM), and clearer instruction on the analysis of bulk materials, particularly where multiple layers are present. Point-counting not included unless requested at extra cost. At least three samples must be taken of each suspect material that may be disturbed. Polarized Light Microscopy is not considered definitive for the absence of asbestos in floor tile. There is an additional charge to confirm negative PLM results of floor tile samples by Transmission Electron Microscopy (TEM). Texas State Environmental Consulting can also help building owners and managers meet their regulatory requirements to test suspect materials for asbestos prior to renovation or construction activities.To ensure quality, our certified professionals perform all field work in accordance with TDSHS, OSHA, EPA and AHERA protocols.